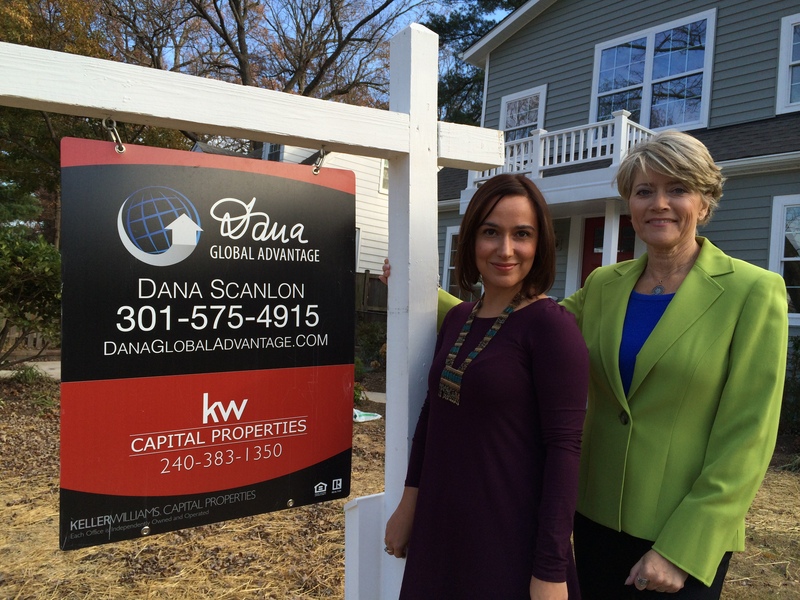 Voted one of the Best Realtors by the Readers of Bethesda Magazine in 2012 and again in 2015, Dana has over 30 years combined experience in real estate, international project management, global sales and marketing. Her dedication to her buyer and seller clients has earned her billing in Washingtonian Magazine as a best agent in the DC area. Dana’s business thrives on personal relationships and deep trust. Real estate is not a hobby, and unlike some large teams, clients are not just another number. She is a full time, full service professional real estate agent and consultant with proven market knowledge and negotiation skills. Together with her team mate Michelle, she will make sure you get quick access to the best properties when they hit the market. Sometimes we can get you in the door even before a property is listed, because of our networking relationships. With a unique understanding of international cultural nuances, one of her specialties is working with international clients, and relocation's. Taking care of the special needs of her international and French-speaking clients has made her a dedicated "problem solver" for all her clients.Together with her team, Dana has the proven systems to get you into the right home at the right price, whether you are a first-time buyer, an investor, or a foreign national buying a piece of the American Dream. She is equally at home in Montgomery County, Washington DC and Northern Virginia – having lived and worked in all these areas in the last 30 years. She is licensed in all 3 jurisdictions. The Dana Global Advantage Team was the Number One team in the Keller Williams Bethesda/Chevy Chase office in 2013, and closed more sales in 2015 than any other team. Dana is among the Top 1% of Realtors in the USA –thanks to repeat and referral business from many happy clients. She is a member of the Keller Williams Luxury Homes Division, and is one of only 2,500 Certified International Property Specialists in the US. In 2011 she was awarded Million Dollar Guild membership by the Institute for Luxury Home Marketing, for her achievements in the upper tier market. Among Dana’s certifications: the National Association of Realtors' GRI, a “masters degree” held by less than 19% of Realtors® nationwide; Green home certified; Transnational Referral Certification; At Home With Diversity. She is one of only 2,500 Certified International Property Specialists in the U.S.
A native of Manhattan, Dana has made her home, worked and raised a family in the Metro Washington DC area since 1982. During her spare time she can usually be found at the barn riding her horse. Bi-nationale franco-americaine, Dana à plus de 25 ans d'experience professionnelle et une connaissance profonde du marché immobilier à Bethesda et toute la region de Washington DC. Michelle has a wealth of knowledge regarding everything our area has to offer. From culture and restaurants to the quickest routes through the city to get you where you want to be. Michelle enjoys focusing her business on Buyers as she enjoys taking the journey with her clients to find their special home and working for the end result of satisfied and happy clients is rewarding every time! In her spare time, Michelle enjoys travel, musical theater (both as a spectator and performer), teaching early childhood music,and spending time with her extended local family.